What is the Autoration Pro? 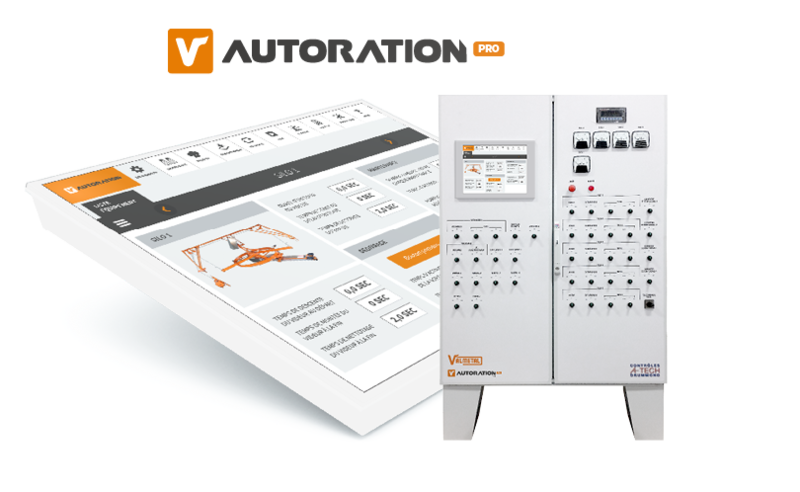 The Autoration Pro is the combination of electronics and mechanics to offer you comfort and above all profits! The Autoration consists of a control panel, a programmable PLC (command manager ), a weighing scale, a communication interface (color touch screen) and finally all the needed equipment to organize the feeding process and feed your cows! From a simple "click" or a touch on your mobile or tablet (Wifi connexion is also available), you are able to control all of your equipment to provide your herd, a superior RTM at a particular time and place ! Automate / robotize the feeding of your dairy herd ensure to produce more but also produce better! If you are not yet users of a diet based on TMR (total mixed ration), you will not believe the benefit of such an investment and most importantly, you won't catch how fast this investment can get paid back ! Because, in addition to save considerable time day after day, and make substantial savings (at various levels), you can finally enjoy the benefit of modernity and ultimately of your family ... Make your life better!